Our Congregation, having originated in Germany in 1885, did not long delay in arriving in Brazil. Soon after our establishment in East Africa, we accepted the invitation to found a community in South America. In December 1902, Mother Birgitta Korff, the Prioress General, received a letter from Abbot Gérard van Caloen OSB of the Olinda Monastery. Originally from Maredsous Monastery in Belgium, he greatly admired the missionary endeavors of Father Andreas Amrhein, our founder. On June 29, 1903, eight sisters left Saint Ottilien, which, at that time, was the Motherhouse of the Congregation, since itwas only transferred to Tutzing in 1904. 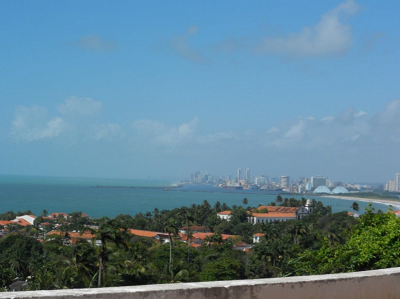 They arrived at the port of Recife on July 21. Early on, Brazilian girls expressed the desire to join the Congregation. Already in 1908, Abbot Gérard suggested that the Congregation establish a novitiate in Olinda in order to prepare Brazilian sisters for future missionary work in his prelacy in Rio Branco, north of the Amazon River. 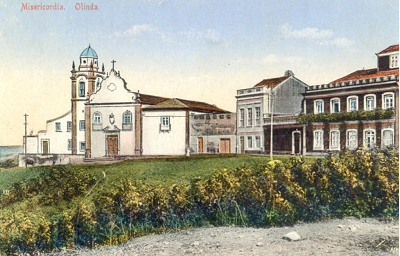 On August 10, 1909, Mother General Birgitta Korff signed a document authorizing the establishment of a canonical novitiate “in foreign lands,” referring to Olinda. It was in this novitiate, the first of our Congregation outside Germany, that our first Brazilian Benedictine Missionary, Sister Brigida de Oliveira, prepared for her profession. Just a few days after the sisters’ arrival in Brazil, already on August 3, 1903, the subprior, Father Wolgang, brought to the new community the first orphan, a very active 7-8 year-old child. With this child, an educational institute for orphans was born that grew into the School Academia Santa Gertrudes in 1912. After the founding of the first school, the education of children and of adolescents became a priority. In 1920, our sisters accepted an invitation to open a school in Caruaru, Colégio Sagrado Coração. To the present day, our school remains the only school administered by a religious order in that city, and it has always had a large number of students. 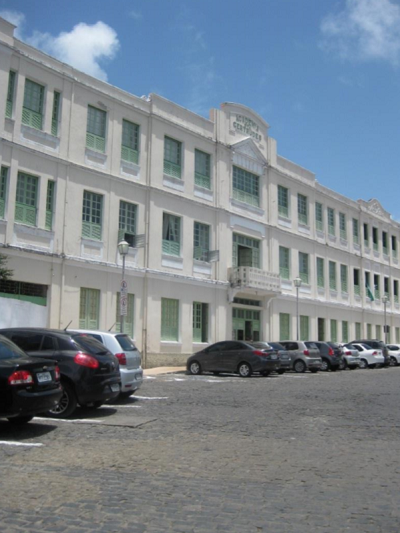 In 1943, right in the middle of World War II, this time in Recife, the Priory assumed another school, Colégio Nossa Senhora do Carmo, having bought it from Maria do Carmo Lins e Melo, who had founded the Catholic school in 1919. The school served the community for more than 90 years, before closing in 2011. By that time, the surrounding formerly residential neighborhood had been transformed into a commercial, business, hospital, and medical district. 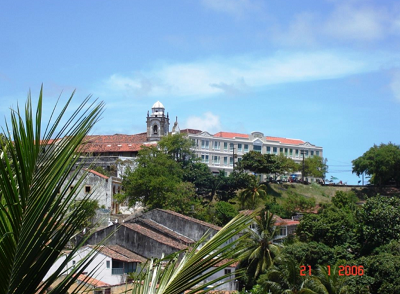 In 1955, the Colégio Imaculado Coração de Maria was founded in a new residential neighborhood of Olinda. Due to steady, incremental growth, today it is the Priory´s largest school. In 1973 the College Faculdade de Ciências Humanas de Olinda (FACHO) was founded and installed in the same building as the Academia Santa Gertrudes, offering undergraduate degrees in education, psychology, and languages. Presently, it occupies itsown buildings, having expanded to include undergraduate degrees in nursing, business administration, and accounting. 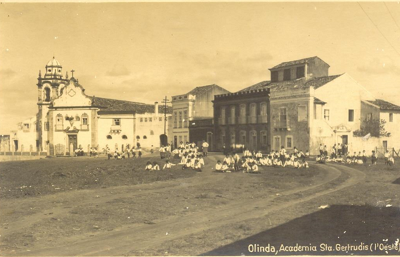 Early on, the schools in the Olinda Priory were involved in social work in the poorest neighborhoods and in the slums/ shanty-towns. This work gave rise to Social/Community Centers and Missionary Centers. In the 1970s the social centers, Mizael Montenegro and St. José do Monte, began serving poor communities, with sisters in residence. In 1968, for the first time, a community of four sisters started working in a parish with no resident parish priest in Porteiras, in the state of Ceará. The intention of the Priory was to form small itinerant communities to work with lay people in needy parishes so as to prepare them for social and pastoral leadership roles in the different sectors of their parish. In this way, the sisters would then be able to move on to another poor community. 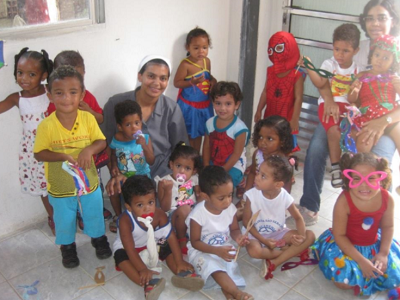 To date, in the diocese of Crato, in the state of Ceará, we have done this type of missionary work in four towns: Porteiras, Campos Sales, Lavras and Palestina. 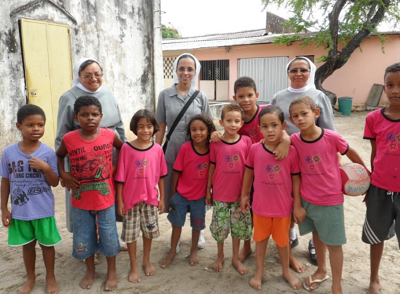 In the state of Pernambuco, in the diocese of Pesqueira, the community in Buique is on the forefront of evangelization efforts. This year, the community in the parish of Malhada de Pedras, in the state of Bahia will be moving on, after having served there for 25 years. In the last two years, the parish had a semi-resident parish priest who was responsible for two parishes, alternating between them, week by week. In 2015, Malhada de Pedras will have a permanent resident priest. The community of sisters will then move on to another town, Lagoa Real, in the same diocese of Caetité, assuming responsibility for that parish which has no resident priest. Since the beginning of the Priory, our sisters have cared also for the sick. However, it was only in 1970 that Saint Vicente de Paulo Hospital opened its doors in Barbalha, Ceará, in the diocese of Crato. 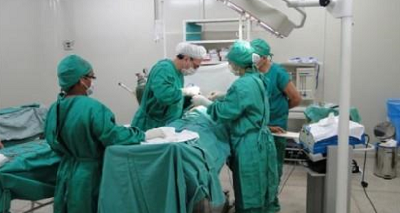 It has become a large hospital, caring for as many as 1500 patients per day, in its service of an expanding geographical area with few health care workers. As a regional hospital, patients come to it from more than 50 surrounding towns and cities. It works in tandem with the governmental health care system.